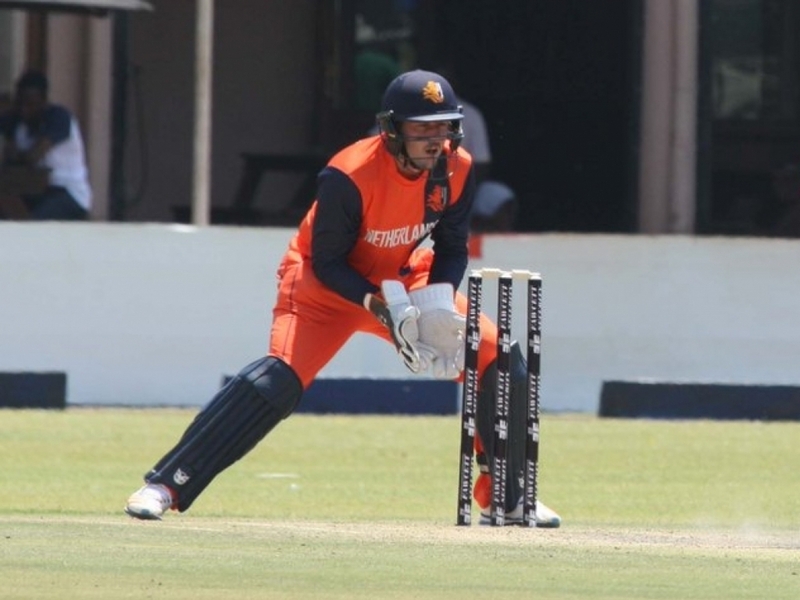 The Zimbabwe Select XI suffered a five-wicket defeat at the hands of the touring Netherlands side in the third and final match of the one-day series played at Harare Sports Club on Sunday. Although the home side had already wrapped up the series after winning the first two matches, the Royal Netherlands Cricket Board (KNCB) XI came out all guns blazing to avoid a whitewash. Only Malcolm Waller and Sikandar Raza did much in the Zimbabwe Select XI’s miserable innings of 129. The Zimbabweans won the toss and decided to bat on a warm sunny morning. Rotating their team, they made four changes from the side that won so convincingly on Friday. Hamilton Masakadza, Craig Ervine, Sean Williams and Richard Ngarava stood down and their places were taken by Solomon Mire, Tarisai Musakanda, Malcolm Waller (who had all played in Wednesday’s game) and Mike Chinouya. Raza became the home team’s third captain in three matches. The Zimbabwe Select XI opened their innings with Mire and Chamu Chibhabha against the bowling of left-arm spinner Pieter Seelaar and seamer Vivian Kingma. Chibhabha did not last long on this occasion, scoring just a single before edging a ball from Kingma comfortably to second slip; eight for one wicket in the second over. Musakanda began his innings confidently, but when he had made 11 he drove a hard low catch to mid-off off Kingma. Mire was the next to go, cutting a ball from Paul van Meekeren to backward point after scoring 14 off 18 balls. At 35 for three in just over six overs, there was a suspicion of over-confidence or complacency in the batting. Netherlands were vibrant in the field and put all the pressure they could on Peter Moor and Ryan Burl. Burl did not bat long, bowled by a good full-length ball from van Meekeren before he had scored, reducing the score to 36 for four. Moor joined the procession, slashing at a ball from Kingma and edging a catch to the keeper for seven, and five men were now gone for 40 after nine overs. It was now left to Waller and Raza to dig their team out of their self-inflicted pit. 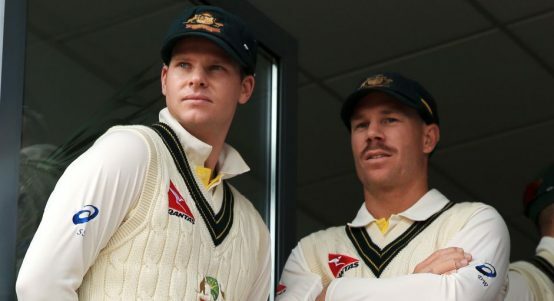 They did not look very convincing, playing most deliveries with great caution, but then playing several uppish strokes fortunately clear of the fielders to score their runs. Waller was the more aggressive of the two, and hit five boundaries before Raza recorded his first, an edge through the slips. By now the pacemen had been rested after their impressive opening spells and the spinners came on. Both batsmen began scoring more freely now, and the woes of the top order seemed to be a distant nightmare. With runs coming at better than a run a ball, the hundred came up in the 21st over. The tables seemed to be completely turned when a fine throw from the outfield saw Waller narrowly run out for 37 off 38 balls. The partnership had added 73 runs in 13 overs and the score was now 113 for six in the 23rd over. Raza soon followed, cutting a ball from Michael Rippon to backward point and departing for 42 off 49 balls. The pair had made a good recovery, but failed to complete the job, with the score now 121 for seven in the 26th over, barely halfway through the allocation of 50 overs. Donald Tiripano slashed wildly at a ball from Quirijn Gunning and edged a catch to the keeper for one, while Regis Chakabva similarly threw away his wicket, donating a catch to slip for three. The last pair of Chris Mpofu and Chinouya were on a hiding to nothing; Mpofu managed three singles, but then Chinouya attempted a big hit and edged a catch to the keeper without scoring, ending the innings for an inglorious 129 in only the 31st over. Kingma, with two for 27, and van Meekeren, three for 21, had begun the damage for the Netherlands side, while Rippon and Gunning took two wickets each to finish it off. The stand between Waller and Raza put on 70 runs; the other nine partnerships could manage only 59 runs between them. Netherlands began their innings steadily for the first two overs, and then Max O’Dowd (6) miscued a hook against Mpofu and was easily caught at long leg; 12 for one in the third over. Wesley Barresi played a couple of confident strokes, but when he had 16 he miscued a ball from Tiripano and popped up the easiest of catches to extra cover; 27 for two in the sixth over. Ben Cooper and Rippon now dug in, but this allowed the Zimbabweans to attack and apply pressure, and ended with the dismissal of Rippon, lbw to Raza for two off 17 balls; the score was 35 for three in the 11th over. In the next over Cooper decided it was time to regain the initiative, and he off-drove Tiripano for two fours. Lunch was taken with the KNCB XI 48 for three wickets after 14 overs, with Cooper on 17 and Bas de Leede two. Zimbabwe were clearly still in with a chance of victory, if they were able to continue taking wickets. 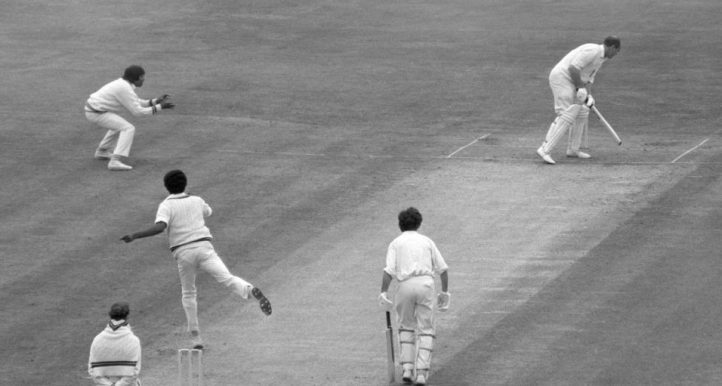 Cooper was soon in full flow after the break, top-edging a hook off Mpofu for six and then driving him for four through the covers off successive balls. But de Leede was run out for three, slow to respond to his partner’s call to his hit to backward square leg and easily run out by good fielding at the bowler’s end; 59 for four in the 16th over. A few minutes later Cooper hit a ball from Raza sweetly over midwicket for six, while Peter Borren was at the other end, making a good start to his innings. This was the vital partnership, the success or failure of which might well decide the destiny of the match. The score steadily rose, but Mpofu and Mire, who both bowled too many short balls and tried to bounce the batsmen out, could not find success. One bouncer nearly did the trick, however, as Moor just failed to hold a very difficult chance from a hook by Cooper off Mire, the ball going for another four. The team hundred came up in the 22nd over, and the match was now virtually the KNCB XI’s for the taking. Borren on 29 edged a ball from Mire past the wicketkeeper, but there was no slip in place to take a potential catch, the ball going through to the boundary. With the score at 115 Cooper hooked Mire again, and this time Moor held the catch, removing him for 44 off 65 balls, with five fours and two sixes. But the Zimbabweans had really left it too late, as the last five wickets needed only another 15 runs to win. Borren and Seelaar proceeded with great caution, leaving nothing to chance, but Borren was able to lash a short ball from Waller through the covers for four, and then finished the match in a blaze of glory by swinging a ball from Raza over midwicket for six. Borren, who had held the middle order together in every match, finished with 48 not out off 49 balls, with six fours and that six; Seelaar finished with five. The final score was 134 for five. with the Zimbabwe Select XI winning the series 2-1.